Molecular Fizz is a bespoke drinks making programme for young people in the borough, harnessing local ingredients and exercising local taste buds. Everyone involved is part of the whole drinks production chain, from understanding the nutritional value and food technology aspect to identifying and picking plants locally, from lab-based experiments to determining flavour combinations, from recipe development to manufacturing processes and finally from branding to trading. 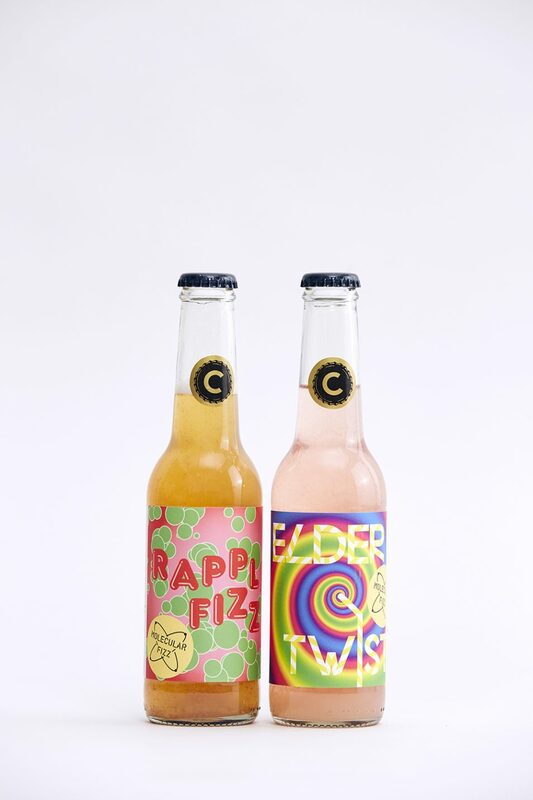 From summer 2016 to summer 2017, Company Drinks worked with hundreds of young people across primary schools, youth clubs, training colleges and learning centres, and the results are two new finalist flavours: Ropple Fizz (apple and rosehip) and Elder Twist (Elderflower and raspberry). With special thanks to food technologist Rachel Edwards Stuart, Barking Technical Skills Academy – Catering and ESOL students, Northbury Primary Year 4 pupils and Square Root Soda. The Molecular Fizz Programme has received a People’s Award by the Wellcome Trust.